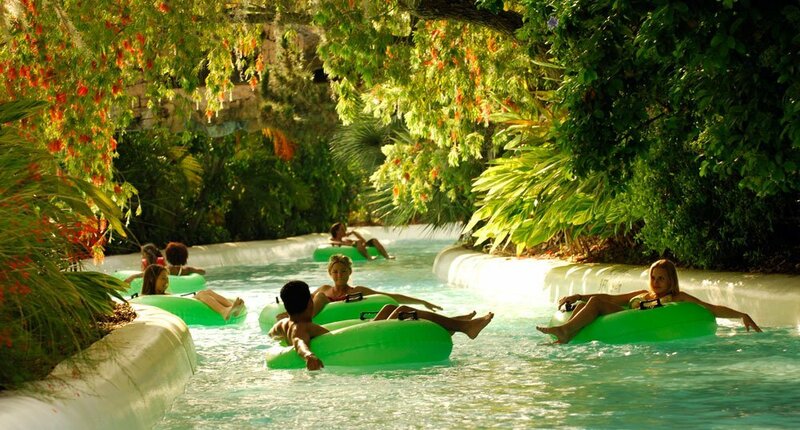 Guests at waterparks across the nation are looking for ways to enjoy some watery thrills. Traditional slides, with their sharp turns and bright colors, remain a popular choice with park goers, but designers are always working to create fresh attractions that will keep customers coming back. The Rambling Bayou water ride at Adventure Island in Tampa, Fla. A high-thrill waterslide, Colossal Curl, was introduced in 2015 at the park. Looking back, Anderson said the decision to add a waterpark in 2003 started the park on a path of upward mobility. 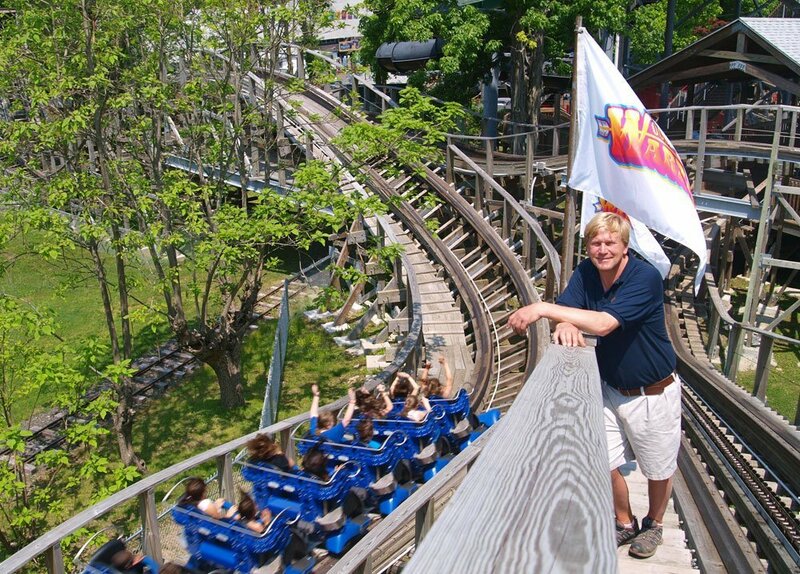 “The waterpark’s success led the way for us to introduce our marquee amusement ride, the Wooden Warrior roller coaster, in 2011. The coaster put us on the international map as it is rated among the top 50 wooden coasters in the world.” Today, Quassy Amusement & Waterpark sees about 220,000 visitors each year. Quassy Amusement & Waterpark President Eric Anderson. The park has a big expansion planned for its Splash Away Bay waterpark. Wilderness at the Smokies in Sevierville, Tenn., introduced a new $1.5 million attraction in 2015. “We added a Boomerango by Whitewater West Industries,” said Joe Schmitz, director of waterpark development for Stand Rock Hospitality. “It’s called ‘The Wall.’ We have not announced anything for 2016 yet, but are currently working on several possibilities.” Schmitz said the park’s goal is to offer guests a new experience every year. “The evolution of waterslides gives us an advantage to do so,” he said. “We chose this specific slide because of the thrill factor and broad appeal. We also wanted to bring the first multiple-person tube ride to our Lake Wilderness outdoor waterpark.” Wilderness at the Smokies, which targets families with kids and teens, welcomes around 500,000 guests per year. 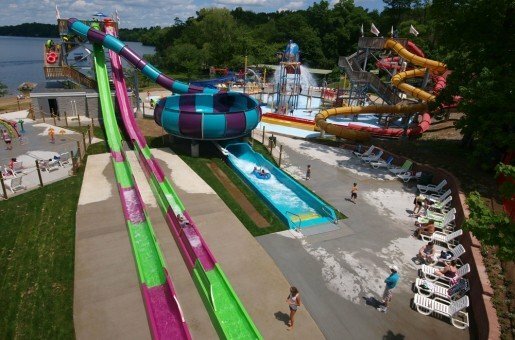 An overview of the Splash Away Bay waterpark at Quassy Amusement & Waterpark in Middlebury, Conn. A multi-year renovation project at the park is expected to cost about $6 million. Camelback Resort in Tannersville, Pa., opened a 453-room water park hotel this year. The new indoor park, Aquatopia, cost $160 million and at 125,000 square feet, it’s the largest indoor waterpark in the northeast United States. The resort’s outdoor waterpark, Camelbeach Mountain Waterpark, held steady with its existing attractions this year as work was completed on the indoor park, but intends to expand in 2016. “Next year we are planning a new major waterslide in the Camelbeach outside waterpark and potentially a new kids’ play structure as well,” said Charles Blier, executive vice president and general manager for Camelback Resort. The park’s plans are always geared toward its target market: families. “We take many factors into consideration when planning new attractions, such as level of thrill,” Blier explained. “We’re a family park, so we try to hit a good balance between the thrill factor and group factor.” Camelbeach waterpark welcomes about 350,000 guests each year. A ride at the Water Mine Swimmin’ Hole in Fairfax County, Va. In 2015, the park spent $5.5 million on an expansion to both increase capacity and to appeal to older children and teens. After introducing slideboarding at their Pocono, Pa., and Williamsburg, Va., locations, Great Wolf Lodge plans to install the system in two new parks opening next year in Garden Grove, Calif., and Colorado Springs, Colo. “We also want to get it into a handful of other properties for next year,” Schaefer said.